We are now living in the Noongar season of Djilba. This is the time when yellow reigns, particularly all the many splendid varieties of acacia. The second (and last rains) are filling our rivers and waterholes to the highest they'll be all year, and we get to witness the preciousness of the newborn ducklings meeting the world. Watch out soon for Mother Magpie who is far more protective of her newborns than the well-tempered ducks. 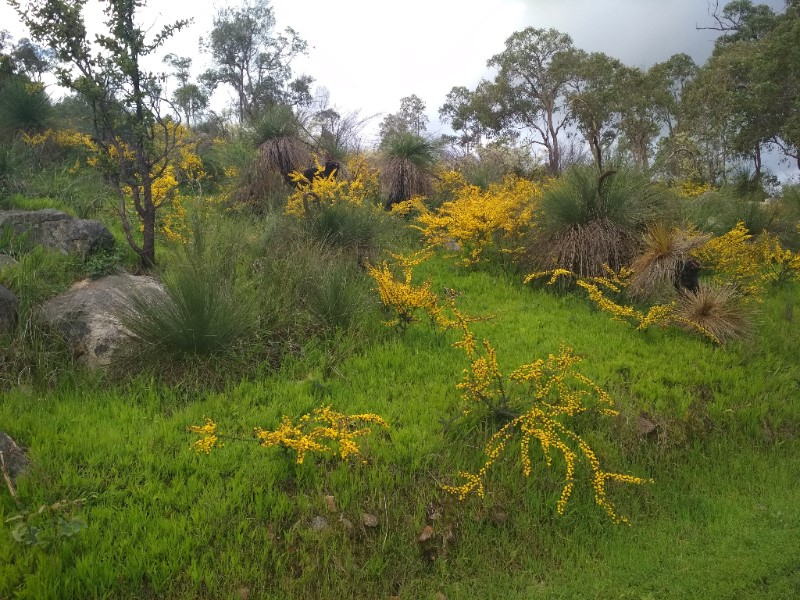 Next month will carry us into Kambarang where more flowers join in the show in the celebration of warmer days, more sunlight and new growth. 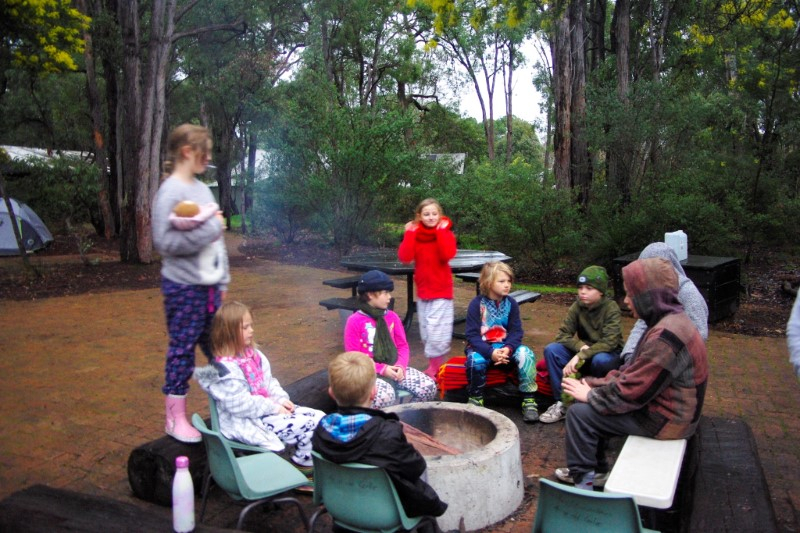 In traditional Western terms, we call this time spring and in Steiner schools all over the Southern Hemishphere spring is celebrated with a festival for all families. 11 am - 1.30 pm. *Please note, there will be no classes in the morning. Please arrive at 11 am sharp with any other family members you wish to invite. 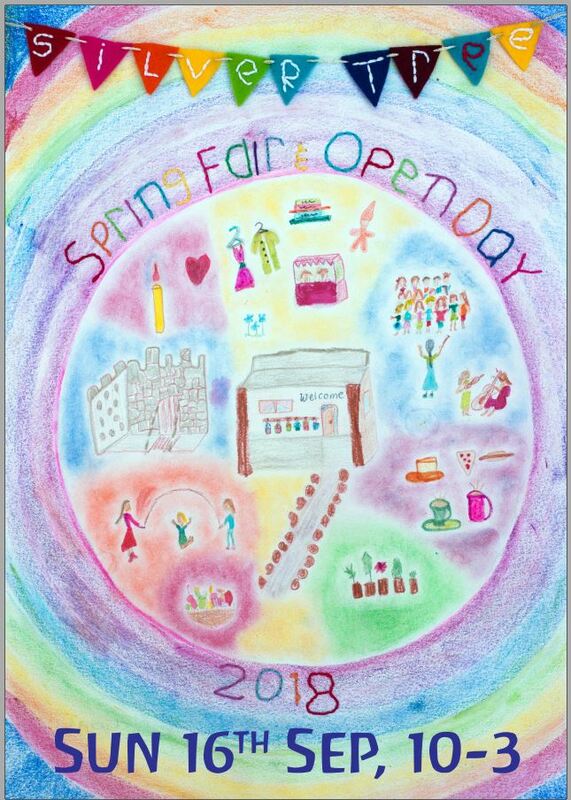 This is a school day, and children have been looking forward to sharing their spring activities with you, so we expect every child and family to be there. 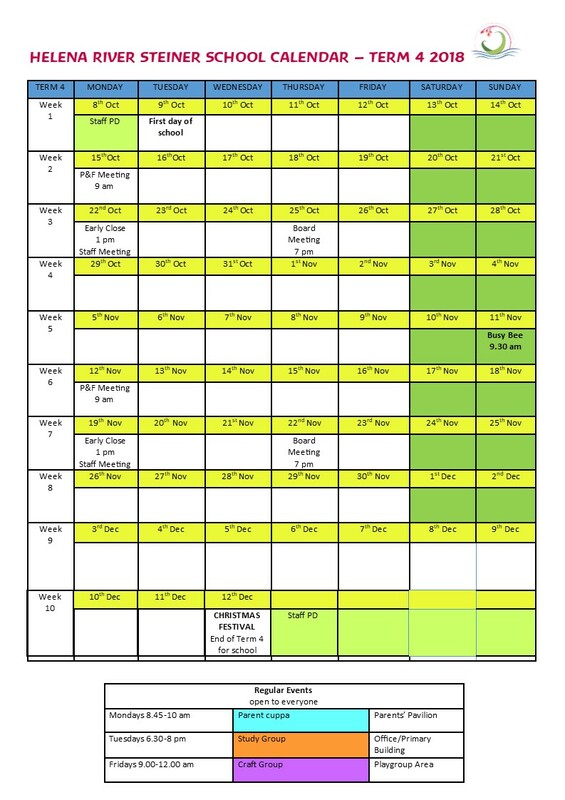 The festival will finish approximately 1.30 pm and toward the end we will also be having an Open Classroom day (see the flyer below). 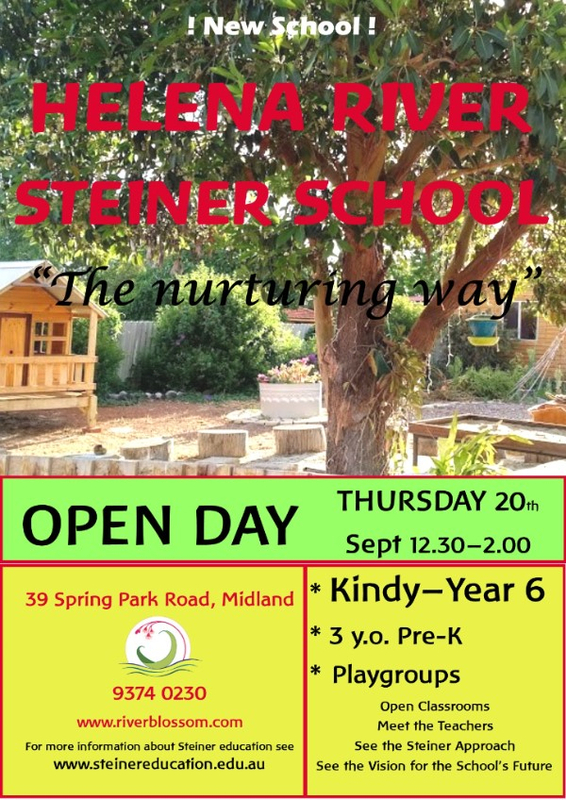 If you have any friends who may be interested in Steiner education for their children, please invite them along to have a look then. Lastly, I wish to give a personal reminder about the importance of keeping your child warmly dressed. It will still be some time before it is T-shirt weather and children need to be warm in order for their bodies to grow healthily and to be able to engage and focus. A child will not recognise if they are cold, so it is up to us to decide what they should be wearing. Please make sure your child comes to school in at least a long sleeved top, and with a jumper and warm shoes and socks as well. This Term the children have been emersed in the elements of Winter. 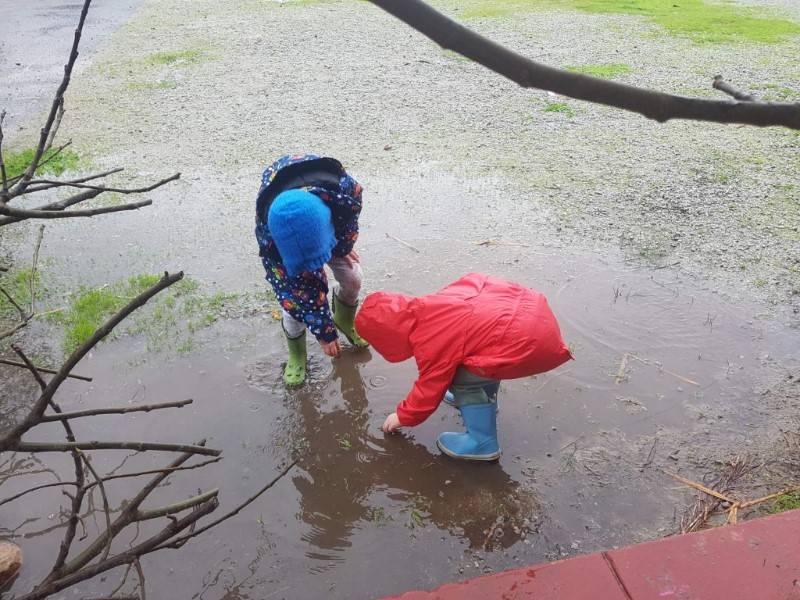 The children have playing in the puddles and rain, watching the dark clouds and we even had the opportunity to watch and taste hail this term. The children were very excited that hail looks and tastes like ice and were fasinated to see how quickly it melted away. 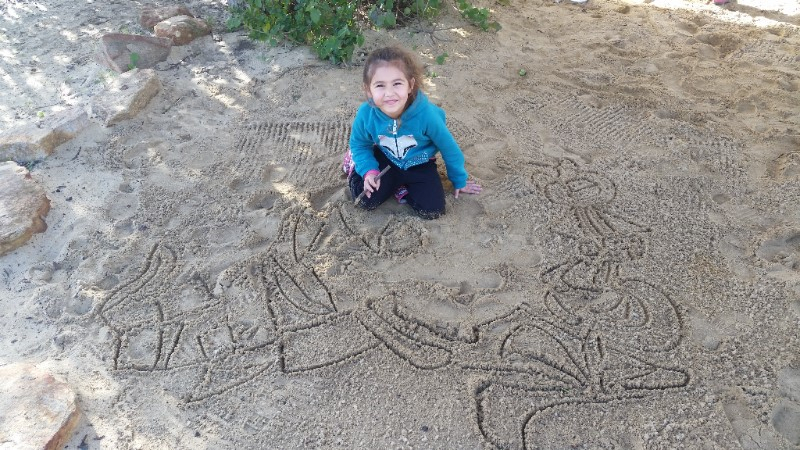 The older children have embraced the wet sand and taken to early literacy in their play as many symbols and stories have been drawn in the sand pit with sticks. The children have also been very interested in hunting for insects, which naturally leads onto caring for insects with gentle hands and putting them back where they found them to ensure a happy long life for their new found friends. Can you tell us a little bit about yourself and how you came to be a Eurythmist? So,the basics - I was born in Canada but the family moved to my father's home town of Perth before I was 2 (thank goodness!) and from there and then on, my memories of beach and sun-loving fun begin. I went to a Montessori primary school and then Perth Modern for High School. I'd only heard of Steiner education when I was a teenager, through a homeschooled boy I was tutoring in photography. He said his parents were considering sending him to such a school but that then he couldn't watch as much TV! My interest was piqued as I thought "what a good idea". Life's journey led me travelling and to then living in Montreal, Quebec, Canada, where I quickly discovered more about Steiner Schools. Long story short I found my way to The American Eurythmy School in California for the four year full time Eurythmy traning, from which I graduated in 2011. 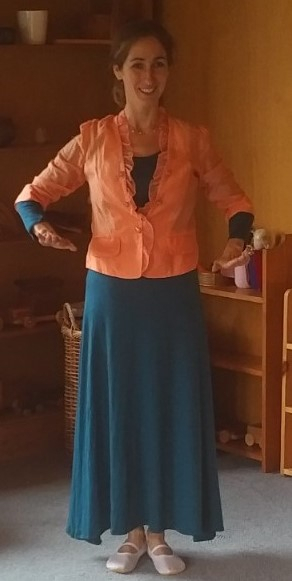 I subsequently travelled further for a few years, teaching Eurythmy blocks and doing further training in Eurythmy and Speech Formation in Switzerland. 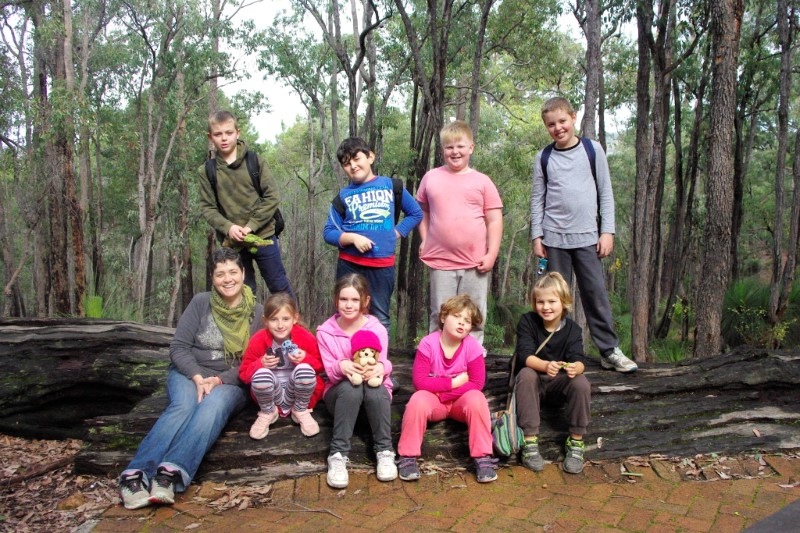 When I was ready to return to Australia longer term, I took up teaching at Castlemaine Steiner School in Central Victoria. 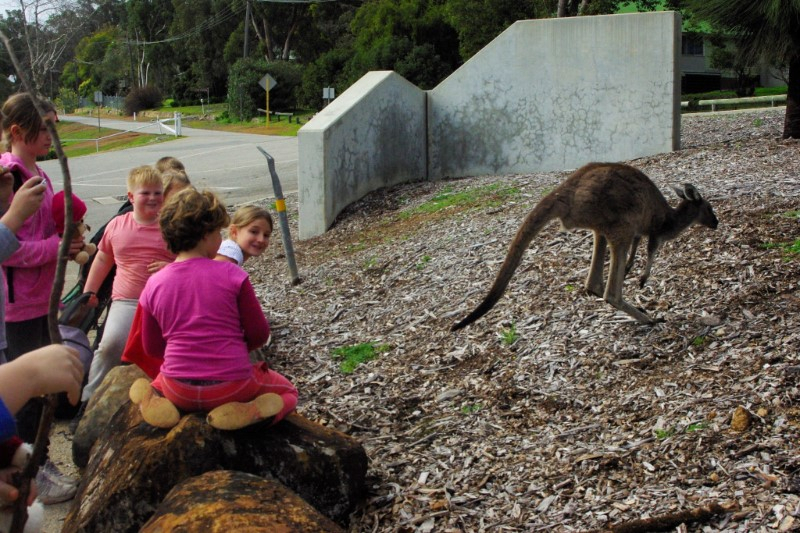 In 2017 I moved back to Perth for the birth of my baby girl, who you might have met with me at Helena River Steiner School Playgroup, or might see me frolicking about with at school festivals and so on. What drew me to Eurythmy was it's ability to reveal, through movement and gesture, the inner nature of things. I see in Eurythmy an art that brings inner and outer together; it's all about being 'real' and integral, present to the movements we learn to make and all the more importantly, the other people we are moving with. How does Eurythmy benefit children? In schools, it is said to be the "heart" of the school, in so far as it keeps the pulse going as we move with poetry and music together to the different themes being learnt about in main lesson. 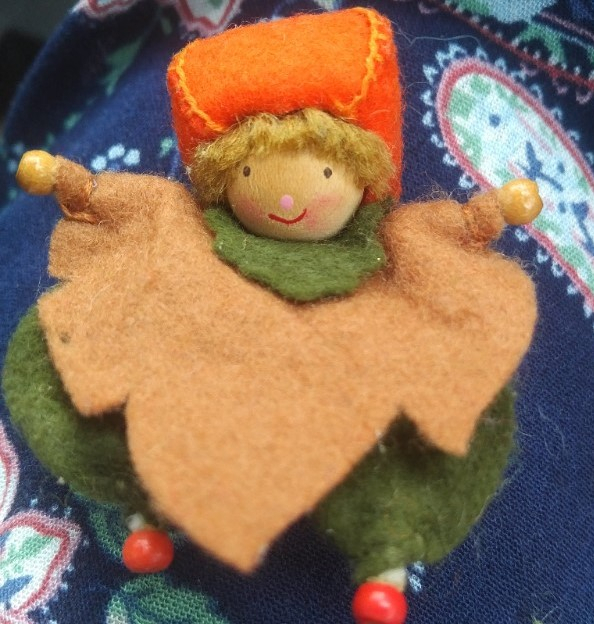 We bring the fairytales, the saint stories and fables, the Norse myths and so on into movement and play together. The gestures themselves are directly related to the sounds of speech or music being worked with. A high degree of social awareness and listening skill is developed in Eurythmy, which also gives direction to the life force that wants to move, run, skip and play! One group of young teenagers where I once taught in Whistler, B.C., were so enthusiastic about Eurythmy and eventually I got the story why: it gave them the team spirit 'edge' in soccer apparently! Indeed learning to move both individually and to be part of the greater 'flock' is a great gift Eurythmy gives us, and I feel very lucky to able to bring it to the HRSS community. 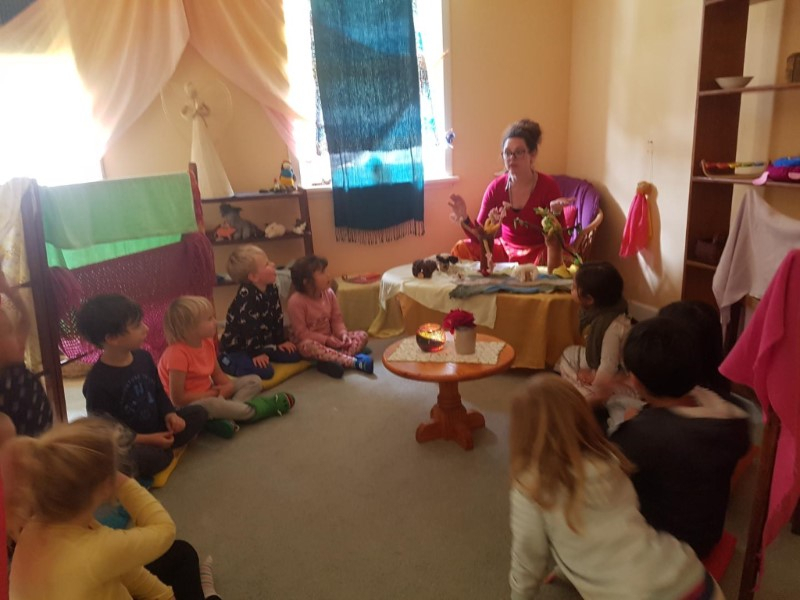 We are blessed to have you bringing the gifts of Eurythmy to our kindy and primary children every Wednesday. If we have a violinist, flautist or pianist parent out there who would be available to play music during Eurythmy sessions on Wednesdays between 11.30 and 1 pm, we would love to hear from you. I hope all your children came home with a spring in their step and a feeling of achievement as most of our students have officially been on their first ever camp for school. Their smiles back at school were fantastic to see. The weather held out for us beautifully and the National Park was absolutely inspiring and refreshing. I was really pleased with how the students all helped each other during set up and pack away, how they engaged in the activities and especially how they all returned when required as the recorder was played. They were all very engaged with the invertebrates program and getting up and personal with all those bugs was great fun. And the climbing of the biggest, most amazing conifer tree was a bit heart stopping. 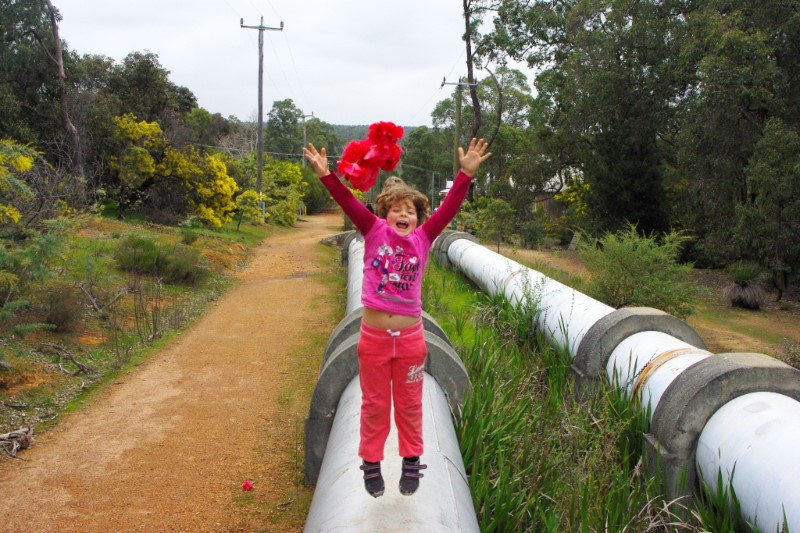 For the older students, our adventure walk took us from camp to the weir and then back along the pipeline and we all returned with scratches and stories about birds, kangaroos and sliding down the overflow of the wall. Mr Snappy and Brownie are now best friends too. 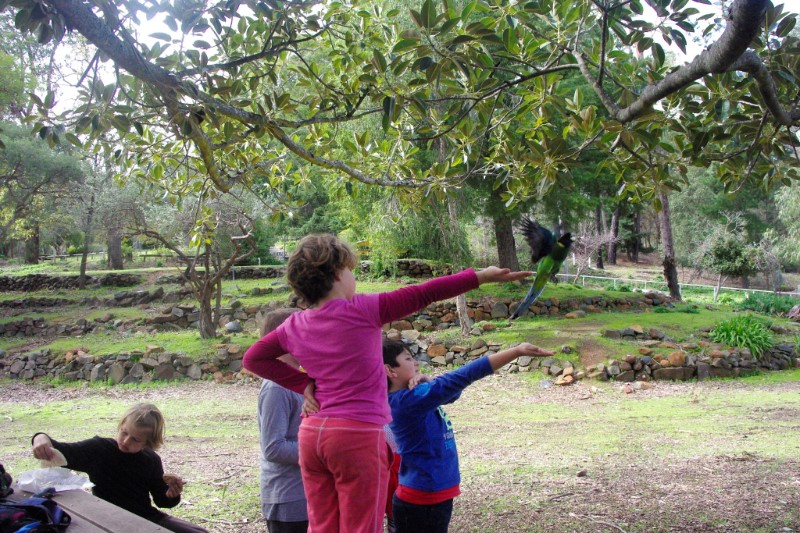 It was a really great opportunity for the children to interact with their friends in a completely new and engaging manner and I can see that they are a closer group for it. A big thank you goes out to parents Jo, Mary, Sam and Morsi and for our incredible teachers who supported our students; Karen, Danika, Melissa and Tanami. Where will the next camp be? Well let us know your suggestions to help plan for our next big adventure. Thanks again everyone for preparing your children with what they needed to have a successful camp and giving them this opportunity. 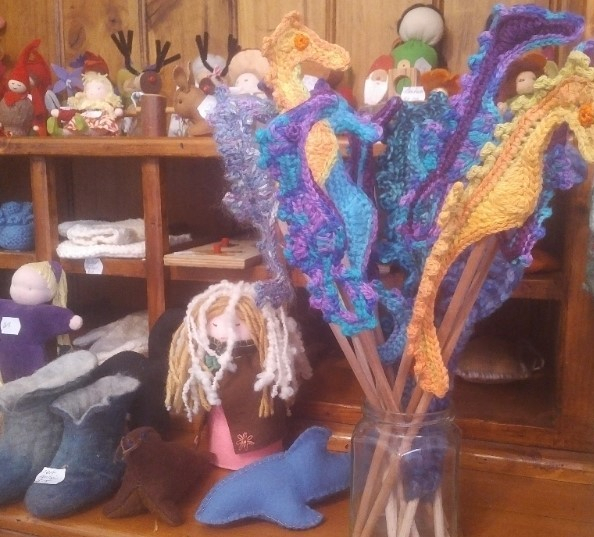 We now have more new items in stock, lovingly made by those in our community. This shop is run by the P&F to help raise funds for equipment for the school. If you would like to help run the shop at any time you have available, or have ideas of how it could be improved, please contact Rebecca on 0414 534 904. Next meeting is on Monday 17th September, 9 am in the Parents' Pavillion. The P & F holds a very important role in any school. 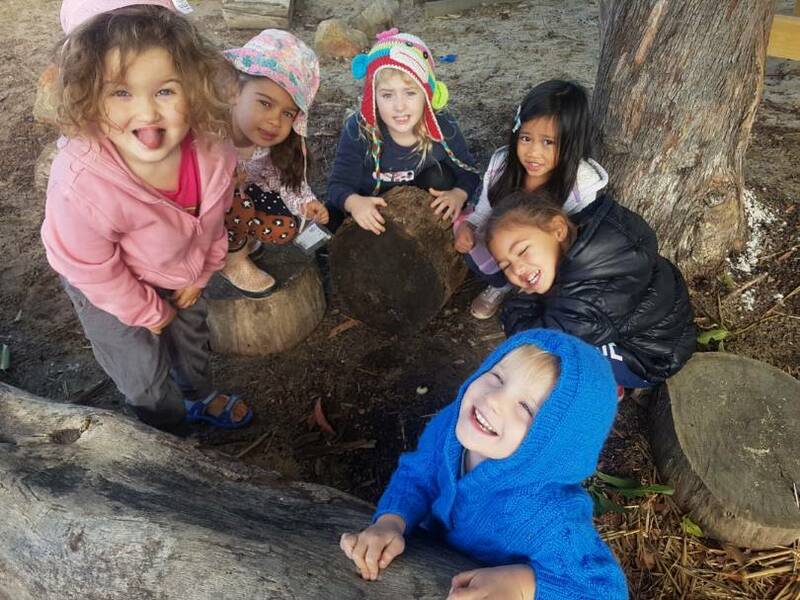 It organises fundraisers to help improve facilities for the school, it organises busy bees to improve and beautify the grounds, it supports the teachers wherever they need it, it enlivens the parent connection and community, and so much more. Your help -whether big or small- will be greatly appreciated. Please come down for a cuppa and see how you could be involved. Would you like to help steer the overall and long-term direction of the school? Do you have a passion for seeing the school grow and be stable? Are you an organised person with good minute taking skills? This is a rewarding volunteer position for someone who has reasonable time to dedicate to the important tasks required. New Lecture Series Starting Term 4! The group will begin reading and discussing a series of eight lectures known as 'The Swedish Teachers Lectures'. This series of lectures details the changes in development of the growing child from birth to adolescence. The first meeting with these lectures will be on Tuesday the 9th October. All are welcome and copies of the lectures will be supplied for $2 each. 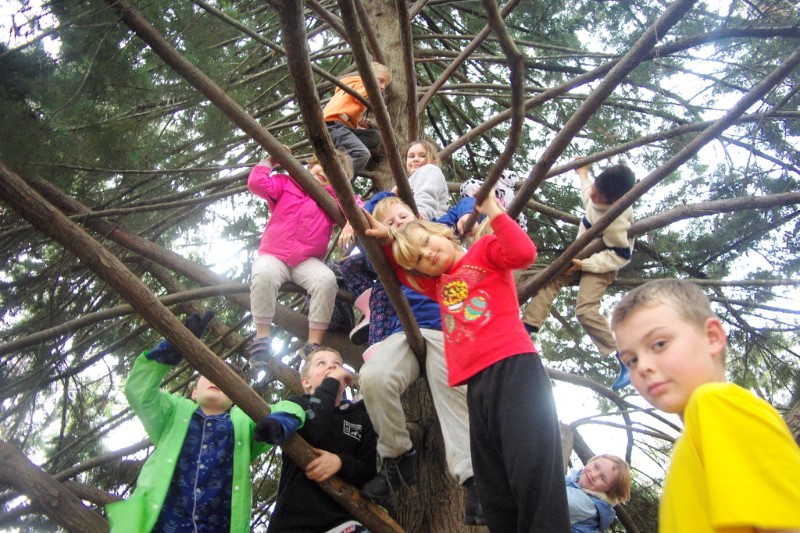 Invite your friends to come and have a look inside our classrooms and see the work children do in a Steiner school. Teas will be provided; Participants provide their own lunches. New leadership perspectives: Understanding the difference between leading and managing; How leadership has evolved over time; Emerging concepts of leadership; Enabling people to discover their karmic and developmental challenges, and to give expression to their will, out of their own ‘ethical individualism’; The planetary model as a tool for understanding and working with leadership, management and group dynamics. Building co-operation and collaboration across the organisation: Understanding social and anti-social forces; Building interpersonal skills; Working creatively with group dynamics; Facilitating healthy dialogue and valuing diversity; Building co-operation and alignment across groups to transform adversarial relationships. Building a resilient organisation: Organisation diagnosis; How organisations develop; Creating a culture of co-operation and trust, which fosters open communication, constructive feedback and the healthy exchange of perceptions, insights and ideas; Leading change and managing transitions. The inner path of the leader: Understanding your current phase of life and your questions and challenges regarding leadership; Growing your confidence, assertiveness and personal power; Building emotional, intelligence; Facing personal transitions and crossing thresholds; Charting your personal leadership path. The workshop is facilitated by David Liknaitzky, who has 30 years’ experience as an independent organisation development consultant, based on an anthroposophical foundation. He lives in Melbourne, and runs spiritatwork (www.spiritatwork.com.au), a consultancy that empowers and coaches leaders to think creatively and strategically about leadership, and to build ethical and collaborative workplaces in which people can bring their whole selves to work and meaningfully take initiatives and make contributions that matter to them. David’s children all attended Steiner schools, and he has had a long-standing involvement with the Steiner school movement, working with many schools around Australia and in other parts of the world, as well as other anthroposophical initiatives. He has also consulted extensively to commercial and industrial organisations, and founded a not-for-profit youth development organisation, the Youth Empowerment Network. David’s education and qualifications include a Master of Arts in Professional and Applied Ethics and he is currently undertaking research in trust-based leadership towards a PhD at the University of Melbourne. He is a Professional Support Panel Member of Steiner Education Australia, a Fellow of Ashoka: Innovators for the Public, and a member of Australasian Facilitators’ Network. Take the guesswork out ofparenting! start in life, and get more enjoyment out of being a parent.